Some people consider all graffiti as vandalism. I have mixed views as sometimes it can brighten up a run-down area particularly when the buildings have been abandoned. And some of it is funny and inventive and often artistic. But when people write on sculptures, in this case three oversized pool balls by the Aasee in Munster it’s not funny. 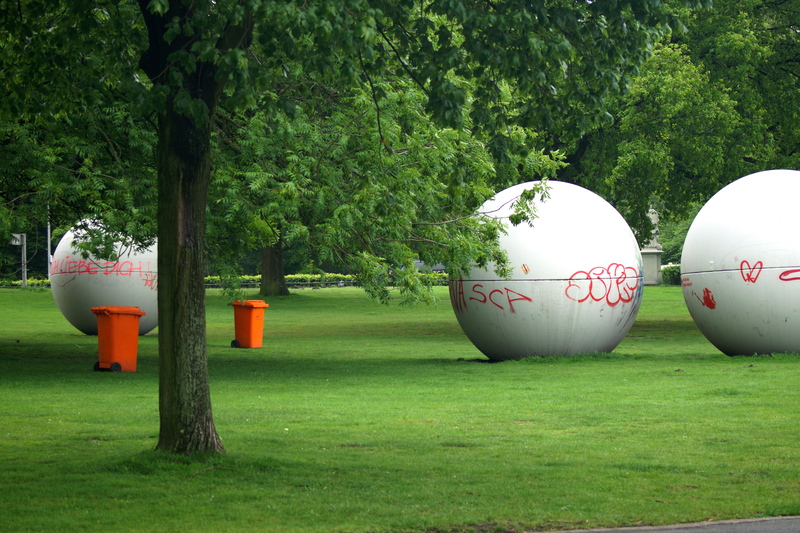 These were designed by Claes Oldenberg as part of the city’s “Art in Public Places” initiative. 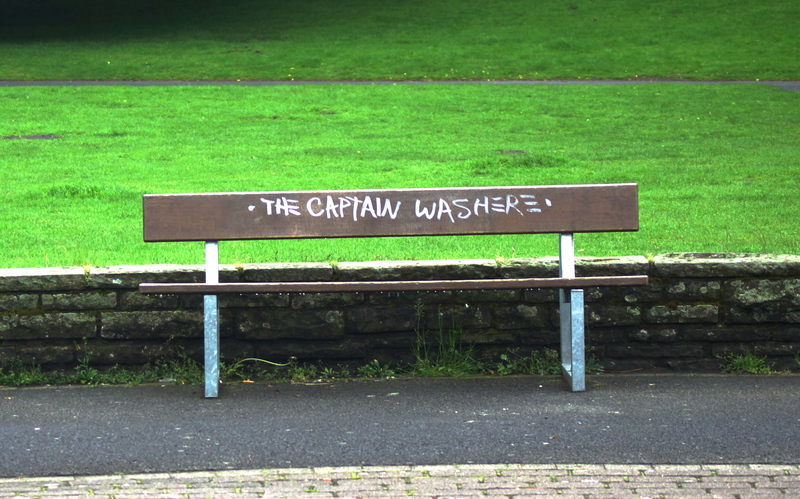 And as for the Captain who daubed his name across all the public benches – how would he like his balls daubed in graffiti? Categories: Appearance | Tags: Aasee, Claes Oldenberg, Germany, graffiti, Munster, sculpture, vandalism | Permalink.